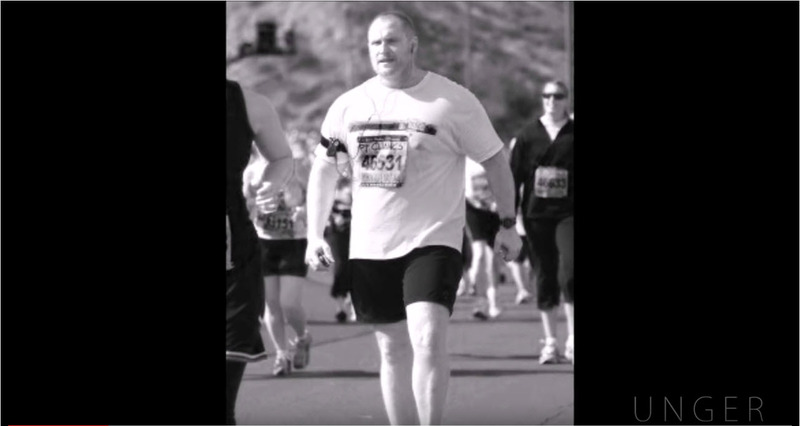 At 6'4" 240lbs and over 230+ Marathons, Ultramarathons and Ironman Triathlons in five years and still going. Bodybuilding and Ultrarunning related blog. Marathon, Ultramarathon and Ironman Triathlon race reports, training logs, training advice, thoughts on running, ultrarunning motivation and my thoughts on life as they come to me while I run. And the first step for me, was seeing myself as something I was not, before I ever was. 110 Degree F. Arizona Forest Service has shutdown Tonto National Forest due to extreme heat advisory. Mount Ord is surrounded by forest fire. Air quality is down to a minimum. Self-confidence doesn't come from doing what's easy in life, it comes from doing what's hard. We do what's hard, we take leaps of faith because we know that if we can make it through the toughest of times, if we can thrive in the darkest of places, maybe we can make it a through another day. Maybe we can hold on to hope for just a little while longer. Success doesn't require you to look out the window, it only requires you look in the mirror. Thanks very much – appreciated. Checkout my blog posts where I'm directly interacting with people. I touch on answering that. The short of it is this: Get on a program and have a very specific goal. Any program will do. Just get your momentum going. Success starts and ends in the mind. And what works for you will be and is very personal to you. It wont make sense to anyone else. No one else can make you feel what you need to feel in order to get you to act. You're your own worst enemy and you're your very best friend. I will offer this to you; When your purpose is greater than your pain, you'll always succeed at your purpose. You have to find a reason WHY and that reason has to resonate with you at the very deepest of levels in order to drive you to act. Just “wanting” something is never enough. You have to be on a mission. You have to obsess and stay focused every single day. You have to be able to sacrifice who you are now for what you'll become. Define when you want to be this way. A date in time. Research all you can online and try everything that makes sense to you. Get on an eating program. Get on an exercise program. And whatever you do, be as consistent as possible. Know you'll fail over and over again. You'll have bad days, everyone does. Learn how to get back up, re-stabilize yourself and keep going. Learn how to push through your pain and use it. Just because you failed, it doesn't make you a failure - far from it. It means that you are one step closer to success. It is a learning process, an evolution of the mind. Disclaimer: I always change the personal information and redact certain identifying information for anyone who messages me. I post these conversations to help others who have similar problems and who may benefit from the discussion. If nothing else, people in similar situations will know that they are not alone. My responses are my opinion only. I am giving my opinion because I was asked to. In Hindu philosophy, Ātman (/ˈɑːtmən/) is a Sanskrit word that means inner self or soul. In order to attain liberation (moksha), a human being must acquire self-knowledge (atma jnana), which is to realize that one's true self (Ātman) is identical with the transcendent self Brahman. To have self-knowledge is to empower oneself and harness its immense energy. In order to reach the outer areas of your comfort zones and mental boundaries, you must heavily tax your body and mind. You do this because the person you will be is much stronger than the person you currently are. When you get to that place - tell em Unger sent you. When you're exhausted, tired, frustrated and feel you have nothing left to give. Understand what you do next is the difference between failing and succeeding. From Nick - How do I find my Purpose? Any advice to those who are paralyzed by those not knowing which direction to push their lives? or what to do? I haven't found my passion and the question rings into my head day and night. One word: Act. Experience everything you can. Anything and everything new. Take every single opportunity you're afforded, whether you think you'll like it or not. Find people you respect and who live a life that appeals to you. Model your world and your behaviors off of them. This is how you begin. You must get your momentum moving and as you travel down your road, your experiences will begin to shape you. You'll begin to understand the things that affect you. The things that bring out good and constructive emotions in you. The things that resonate with you at a deeper level and make you feel. And the more you act - the more you experience, your opinions will form. Doing things you end up not liking is almost as important as doing the things you like. Finding out what specific aspects of an experience resonate with you, even when the overall experience is a bad one, lends incredible clarity to who you are (and who you aren't). All of this allows you to self-analyze and become much more introspective. Journal everything you do. Journal your thoughts and feelings. You'll be amazed at the insights you uncover when you're able to analyze your own patterns over time. Seeing things in retrospect is like seeing land from a higher altitude. It's a completely different perspective. The phrase "hindsight is 20/20" is absolutely correct and you can use it to empower you to conjure your vision. Conjure a purpose that's stronger than any idea you've ever known - because you built it from the ground up. Evict all of the negative and judgmental people from your life. Those who have done nothing but always have an opinion on your actions, wants and needs. They will always give you reasons and excuses not to act. You don't need a good reason to go out and do anything, other than the fact that you do - in order to experience more. Making mistakes are just as vital to this journey as not. You need more input, more data, and I promise you, the vision will manifest on its own. It will just come to you. Eat healthy and exercise - you must experience life with a healthy mind, body and spirit. Don't drink alcohol or do drugs. Those things corrupt your mind. They are toxic and give you an inaccurate perception of the world - a warped one. You want to see and experience things from a stable and consistent state of mind. Your state of mind is the foundation by which all things ideas grow. 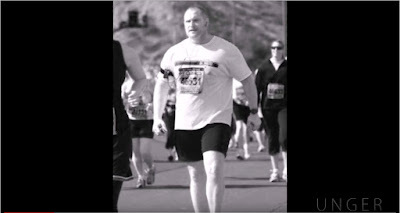 My name is Tom, and like yourself I'm a bigger guy (6'4") who simply loves running. Last year was a tough one and I’ve used the pain (divorce, death in family, friends not being friends anymore - happening all at once) to do all the things you're mentioning in your blog. I’ve excluded all the things that were not in line with who I have envisioned myself to be, and I'm all into creating the best version of me. So I'm laser-sharp-focused, my goals and vision are clear and everyday I'm moving forward at an incredible pace. 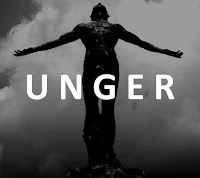 During bad times I gain a bit of weight and since I’m starting to run again, I would be in awe if you can help me a bit with nutrition advices, because I would also like to speed up the results in that area. I'm currently sitting with 248lbs (lost 11lbs in two months) but I know I can do better. My diet consists mostly of healthy fats, little bit of protein and vegetables with low glycemic index (mostly green leaf vegetables). Sugar is my only vice and from time to time I will eat something sweet just to satisfy my sweet tooth cravings. High fat diet makes sense to me, but I'd like to hear what would you recommend to speed up the fat loss. Let me tell you this, and you might not "feel" what i'm saying, but when you look back in retrospect, it'll become apparent: Isolation is a gift. I'll start with the "mind" part of my response. This is going to be a very long-winded response, and it probably won't seem like it's answering your question, but i'll get there. Truly, we have to get everyone else's voice out of our head. We have to get away from all negative energy. We act in accordance with the laws that govern how the mind works and one of those laws state that we will behave in-line with the people we surround ourselves with. And if your relationships went South so-to-speak, it's probably because they weren't the right ones for you. I commend you on "using" it to motivate you. We only ever have two choices in how we deal with our past experiences and either way, your past will "always" affect your current and future actions and behaviors. Choice one is to try and ignore your past and your pain. When you do this, its like a weed growing in your mind, that will grow and grow and subtly take over who you are - at a subconscious level. It will cause you to act and behave in a certain way that is counter to the way you "logically" want to act. It will cause you to "eat sugar" and do things to try and get a neurologic-high, when you feel low. It's like music always playing in the background, and the more you ignore it, the louder it gets and the more invasive it becomes - negatively. It is degenerative. Choice two is to acknowledge everything you've been through. Catalog it in your mind. Write it down on paper to let your mind know you aren't ignoring it. Go into it and try to find what the issues are. Be very truthful and real about this. Try to figure out the reasons behind your relationships having the outcome they do. Try to find your "pattern". Your pattern has been there for a very long time. It's who you are. Part of your pattern is based on your genetics. Your genetics create a scope or if you can imagine a coloring book, your genetics are the perimeter or outline of the picture. It represents who you are and the boundaries of what you're capable of. The rest of who you are is based on how you color the object in. Its up to you which colors you use or if you color a section at all. Choice two is about "using" your past and your pain. Converting whatever feelings you have about your past experiences into "FUEL". The biggest caveat to this is that you MUST have a purpose or a vision - you must have a destination. Otherwise you'll have all this energy and no place to go. Like a ship out at sea, traveling in circles over and over again with no destination. You'll burn yourself out. But with purpose and an eternal tank of fuel, you'll be able to move mountains. The cure for the pain is in the pain. Choice one is - your pain controls you. Choice two is - you acknowledge your pain and use it to get what you really want out of life. If you can look at your past this way, not as a failure or a bunch of losses, but as the tuition you had to pay to get where you're at now (and appreciate where you are at now), that change of perspective will be immensely empowering. Let yourself have some sugar. Know that life is about crests and troughs, high-points and low-points. Know that losing is inevitable, but it isn't about the loss or even how many times you lose, it's about your ability to get back up as quickly as possibly. Become efficient at re-stabilizing yourself. When this happens, you no longer succumb to one step forward - two steps back. You start taking two steps forward and maybe one step back. You make progress. But you have to give yourself a break. Don't judge yourself in a good vs evil paradigm. We are who we are. We don't need to make excuses to anyone. We are all fallible and we all make mistakes - often. What works for you and your body doesn't have as much to do with your size as it does your hormonal make-up and aspects of your physiology. Example: I could tell you that nuts are the best way to diet and you should eat nothing but nuts but if you're allergic to nuts - you're dead after the first nut. Do not fall into the trap of thinking that just because you physically look like someone, the laws that govern your body are the same. You have to experiment to see what works for you. Try all different kinds of diets and see what keeps your "mental and emotion" state the most stable, while still giving consistent energy levels. In the end, diet is about physically feeling good, having continuous energy all day long, hedging against inflammation and keeping as consistent an emotional-state as possible. That's what you're aiming for over and above any effect it will have on you physically. The physical effect will happen automatically. i.e. When you're happy and feel good and have tons of energy, your body will reflect this and change automatically. I personally like a no-caffeine (no stimulants), "no-added-sugar", anti-inflammation (google it), vegan, high-vegetable, moderate fat, no artificial sweeteners diet. Very important: I will "cycle" this on and off with a lean meats diet from week to week or month to month. I also highly recommend fasting (water only) for at least 24 hours once a week. Fasting helps reset my mind. It really helps if I ate a bunch of sugar or ate poorly because my emotions got the best of me. It cleans out my body and re-focuses my mind. It allows me to recalibrate. 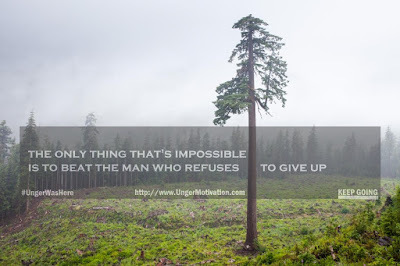 One of the best remarks I ever heard was out on a trail in the middle of nowhere during a 100k ultramarathon. I was in extreme pain, feeling alone and didn't think I could go any further. Another runner came by me in the dead of the night. We talked. I told him how I was feeling. He turned to me and said: "Make friends with your pain and you will never be alone." It changed my entire world. I finished the race. Lastly, what burns fat the best for bigger guys? Ironman training. Cross-Training. Brick workouts (Bike then run in the same session. Swim then bike. Swim then run.) This will burn fat more efficiently than any other kind of training. And the bigger you are, the laws of physics kick in (f=ma), i.e. the more profound the effect. From Charles - What's the first step? Hi Greg. I turn 50 on 10/2/17. I'm a male, 5'8" and weigh 242 lbs. I'm pre-Diabetic; I lost my Thyroid and apparently my metabolism to Cancer. I take a daily Thyroid pill. I appear to have a damaged meniscus right below my knee and I badly want to run, but it hurts when I do. Surgery is a possible option, but the doctor says to see if I can live with it. I take Meloxicant when I have knee pain. I wouldn't mind the knee surgery if I could get back to running, but I'm also on probation status until Oct 30th at work. What I've done, I was able to do because I hit a very real and emotional cross-road in my life. It was my mental rock-bottom. Not a romantic "to be or not to be" kind of thing but a very real, "I'm done" if something doesn’t change drastically kind of thing. It was very personal to me and my life experiences - personal to who I am, my model of the world and the rules/belief-system I had created for myself. It’s not something that would make sense or have real meaning to anyone but me. That being said, the formula is the same for anyone: Get clear and precise vision for what you want in life, down to the most minuscule of detail. Come to a realization that things cannot remain how they are. Be truthful to yourself as to how you got to the place-and-state you’re now in. Begin to figure out who you want to be, how you want to be and when you want it. Clearly define your known obstacles that might keep you from it. Evict the people from your life who don’t support you. Find people to surround yourself with that embody who you want to be. You have to have a very truthful inner dialog with yourself as to "why" you "must" change, as well as why you haven’t already (What has been stopping you – your inner conflicts). I can tell you right now, if the pain or the cost-of-effort for what you want is greater than your purpose and/or the reason "why" you want it, you'll never follow through. You may take the first step, but the burden of effort will eventually stop you in your tracks. Once you're "very" clear on your destination and what that destination looks like (and means to you), the process by which you get there will begin to reveal itself. The need to get there has to outweigh the pain and cost of the travel. And in the beginning, the time, the effort and cost to get that vision, and to take that first step will always be extremely high. Your vision and purpose has to resonate within you on a deep emotional level (not a logical one), to the very core of your being. It has to be at the same priority as breathing air for you. Think about what you want. Think about why you want it. Think about what will happen to you if you don't get it. "Write" everything down in as much detail and clarity as you can. The greater the clarity, the more the detail, the higher the probability that you'll make it happen. Think of it like a mathematical law. Lastly, and most importantly, understand that as you begin this journey, you will fail time and time again. Know it isn't an all or nothing process and failure does not mean defeat. Failure is just a sign to recalibrate your strategy. The more you fail, the better you should get at re-stabilizing yourself and getting your positive momentum back. Your journey will be a very iterative process. For some, they see failure as defeat and give up. Those are the people who truly suffer, because they don’t know any better - they have "learned" to lose. Surround yourself with people who don’t quit, no matter what. Find those who are not halted in their actions by fear. Find people who'll support who you want to become. It will rub off on you - I promise. That is the first step. I hope it helps to at least get your mind calibrated in the right context. What is it, that will make life worth it, for you?